This conditioner smooths and nourishes damaged hair, offering it new shine, softness and manageability. Great conditioner!! Very effective and high quality! Really helped repair my damaged hair!! LOVE this product! Makes my hair feel amazing and so soft and shiny! I love that the condition is good for hair (no harsh ingredients), but don’t feel like the value is aligned with the price/quantity. The conditioner doesn’t distribute very well, leaving me needing to use more that’s l’d like to for long hair. It’s quite an investment for the small sized bottle. This is the best conditioner I have ever used. My hair is thick and sometimes dry. It left my hair well moisturized with a lot of shine and bounce. So easy to use and rinse. Hair is shiny, bouncy, and light. My favourite conditioner ever. I love this conditioning masque. MY HAIR is fine, fragile, colored, and dry–but my scalp gets oily very fast. Nevertheless this is by far my most favorite Leonor Greyl masque. MY PROCEDURE: With short (bottom of) ear-length hair, I perfunctorily towel-dry my hair after shampooing, then rub in about 1/2 tsp of masque into my hair ends especially, run wide-tooth comb through hair, and set timer for 5-10 minutes. I brush teeth with electric brush and shower, then rinse masque, ending with cool water. I must style hair with large round brush for body, and it looks gorgeous. COLOR remains surprisingly intense and longer than it ever did. SUMMARY: Effective, non-greasy, creates volume; highly recommend. We wanted a product line that instead of masking the existing problems, actually corrected and improved the hair’s viability, shine, texture and most of all aided our salon clients hair to look as good at home as it does the day they leave our Salon. We found that with Leonor Greyl products. 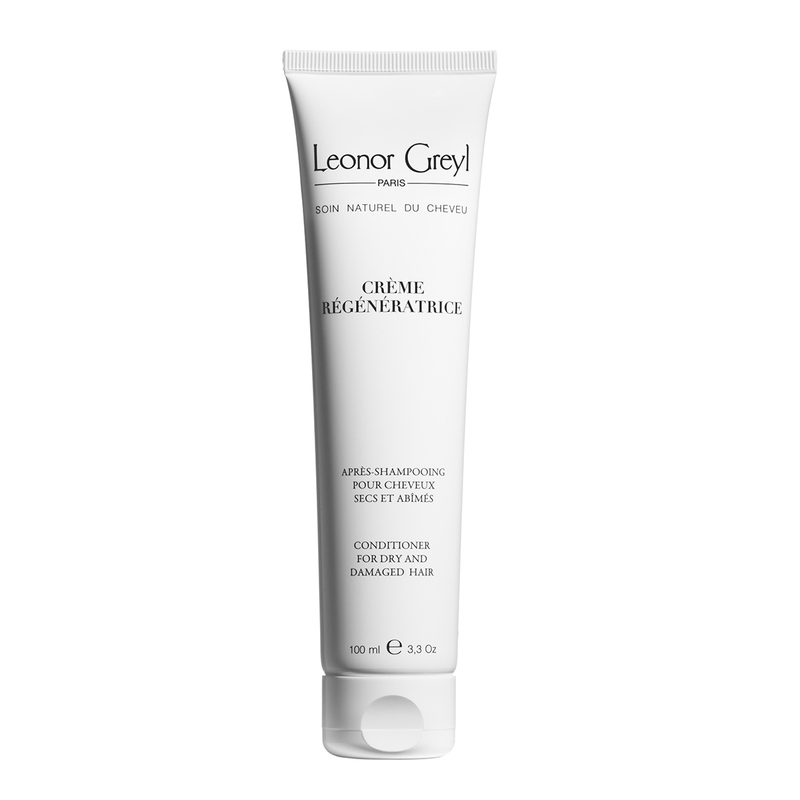 When he began work on this product in the early 1970s, Jean-Marie Greyl’s goal was clear: to design a beauty cream for hair left damaged by salon coloring treatments or blow-drys. The brand’s very first conditioner was launched in 1972. Then and now, Crème Régénératrice has unparalleled hair perfecting powers, treating hair to its powerful protective and conditioning plant proteins.